Jon Marsiglia of Chesapeake AED Services was on site at Thomas Johnson Elementary/Middle School’s Health Fair teaching Hands Only CPR for CPR and AED Awareness Week. 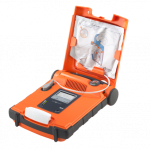 CPR and AED Awareness Week runs from June 1-7 and is a great time to get the community involved in CPR techniques and life saving AED information. 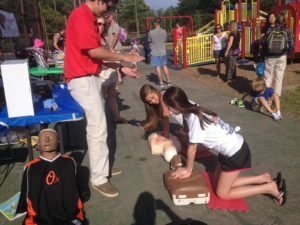 Kids of all ages learned Hands Only CPR techniques, how to relieve choking, and what/how an AED works. 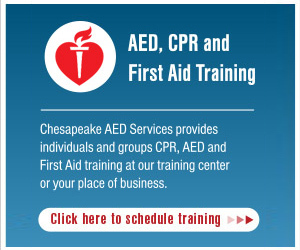 Celebrate CPR and AED Awareness Week with a Month of Savings!